Hellebores are beautiful perennial garden plants that are in bloom in our garden from mid-winter to mid-spring. 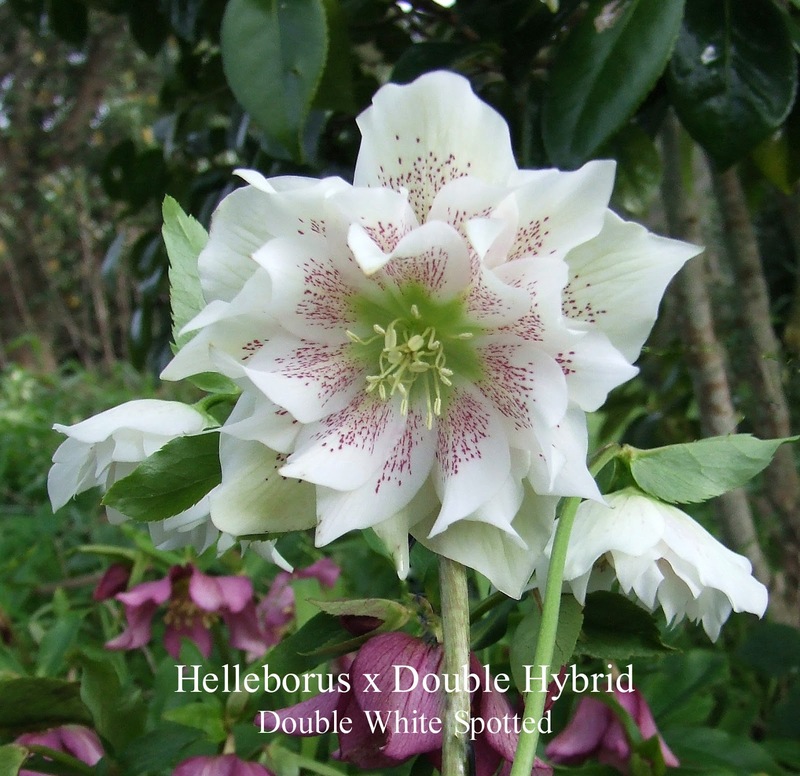 This is one beautiful double white spotted hellebore blooming in the garden today. I purchased this vigorous good health plant from the Telford family Clifton Homestead Nursery. These plants are grown from seed and as the plants are not species each plant although true to a particular colour type in this case double white spotted burgundy, but each plant is not strictly speaking identical which makes each plant a one-off delight that I cherish. Clifton Homestead Nursery have many Hellebores to choose from with single and double hybrid cultivars, also there are other species selections that are worth growing in any garden during the winter.